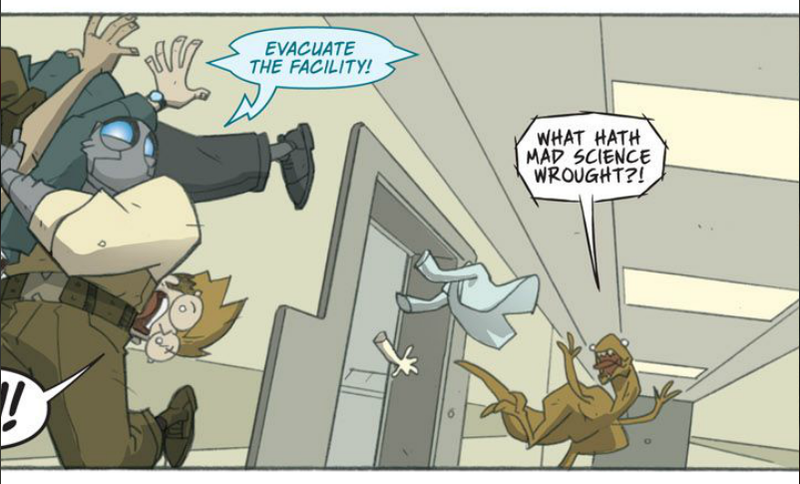 I gotta tell y’all about Atomic Robo. Comixology is having a sale, where you can get the first six issues for only $3.99. I did. (EDIT: This sale is now over, but it’s still only $8 for a lot of good content. So instead of buying liquor, or saving for your child’s education, buy some comics). And you want to be like me, right? Of course you do. I’ve read about 3 or 4 issues of Atomic Robo so far, mainly the free ones that were on Comixology, which meant that I was jumping around a bit in terms of when the issues were published, but it really didn’t matter. Brian Clevenger and Scott Wegener have mashed up legit science with absurd characters in a series of (mostly) stand-alone adventures. You can pretty much pick up any issue and not feel lost or like you’re missing anything. * I will happily blurb things in order to get my name more out there. Please contact my blurbing agent for bookings. pauldekams Paul DeKams is a socially awkward malcontent working in marketing in New York City. So, yeah, he’s a writer. He's written a few independent film projects, written a blog about comics, and even has an embarrassing Live Journal you can find if you try really hard.